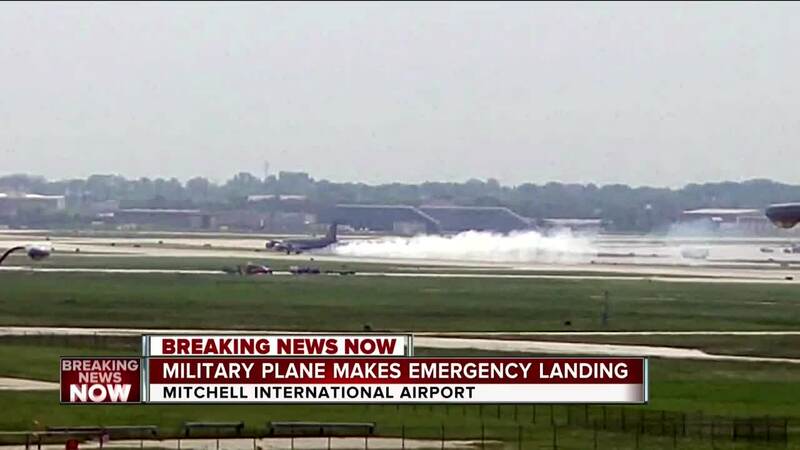 UPDATE 4:04 p.m.: Mitchell International has reopened after the emergency landing, according to airport official Harold Mester. The airport also tweeted advising travelers to check their flight times. Airfield has reopened. Check with your airline for the latest flight status. 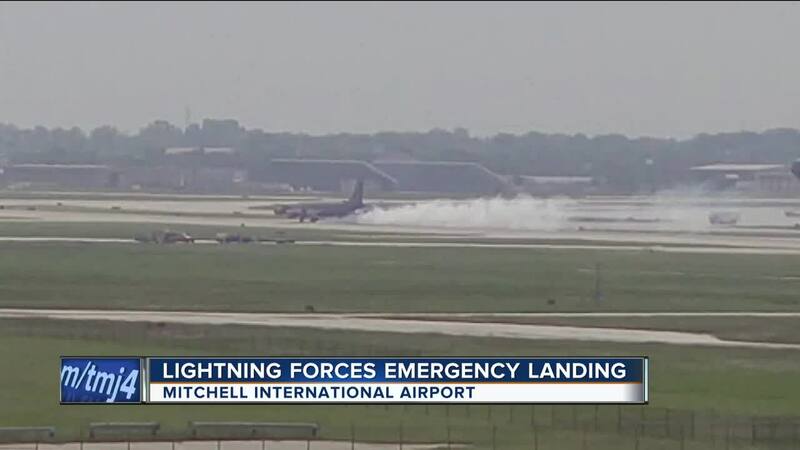 MILWAUKEE -- A military plane has arrived safely at General Mitchell International Airport after it experienced what is believed to be a lightning strike, according to the 128th Air Refueling Wing. 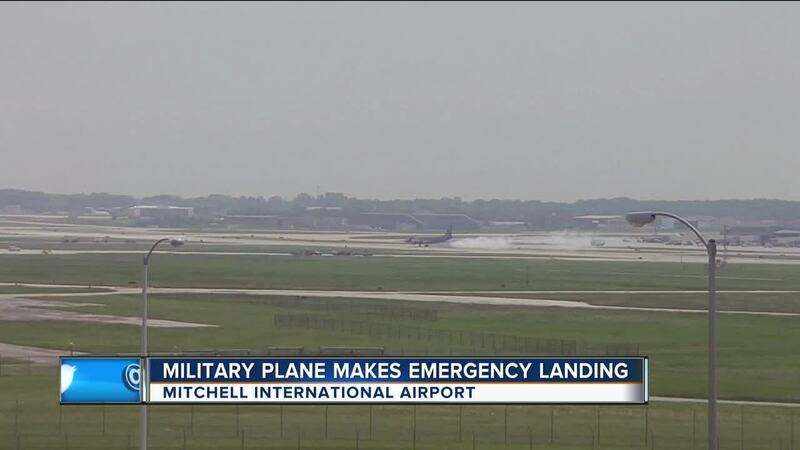 Tower cam footage showed several emergency vehicles assisting the KC-135 plane on the runway. Two tires were blown out upon landing. Because the airplane is currently disabled on the on the runway, the airport will be closed to all incoming and departing flights for at least an hour, the 128th says. The other primary runway was already closed due to ongoing construction. There's no word yet on why caused the emergency, or if anyone on board was hurt.